Scott Stanchak has been a professional journalist since June 2000, specializing in sports and technology. He has contributed to FoxNews.com, NBA.com, USABasketball.com, Time Warner, AT&T and Clear Channel, among other media outlets. Stanchak graduated with a bachelor's degree in communication arts from Ramapo College in New Jersey. Golf isn't generally considered a year-round sport unless you live in a warm- weather location. You can use that to your advantage to score reasonably priced clubs during the colder months. In addition, with online shopping becoming a favorite past-time of consumers, you may be able to find great deals on clubs no matter what the season. Some of the best golf club deals can often be had around Christmas, Hanukkah and New Year's. Manufacturers will offer specials during the holidays to lure gift givers and customers into purchasing their clubs. While golf clubs are typically priced similarly across different vendors, some will offer holiday coupons and discounts to customers, especially to those who hold a store credit card. This can reduce the cost of golf clubs drastically. The casual golfer typically doesn't think about his equipment until the weather begins to warm up. This time of year is prime for deals as club manufacturers hope to pocket off of golfers getting ready for the new season. The new models of most clubs arrive on store shelves in this season, which means the previous year's models are now significantly cheaper. The end of spring also brings Father's Day, when many sporting goods specials are available. After the golf season can be a cost-effective time to purchase new clubs. The warm weather is dissipating and fewer players are hitting the course. That means the current year's club models are about to become old news. While several months may still be left in the current year, some vendors will want to clean out their inventory to prepare for the upcoming models. This housecleaning could mean big savings for your wallet. 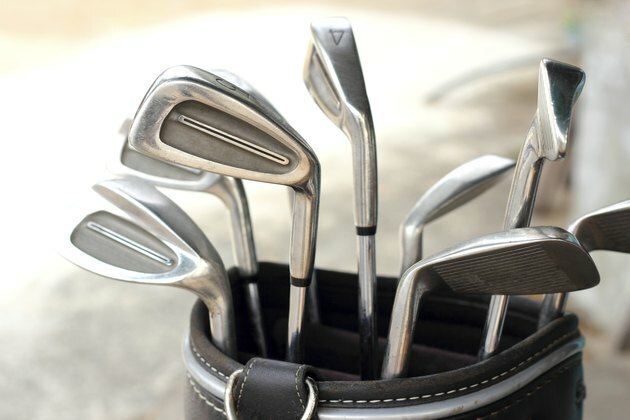 The online marketplace offers a vast amount of choices and prices when it comes to golf clubs. Nowhere else in the world can you sit in one place and comparison shop for whatever you have in mind. Between online auctions, online-only stores and sporting good store websites, the power to find the ideal clubs, for the price you want, is in your fingertips.